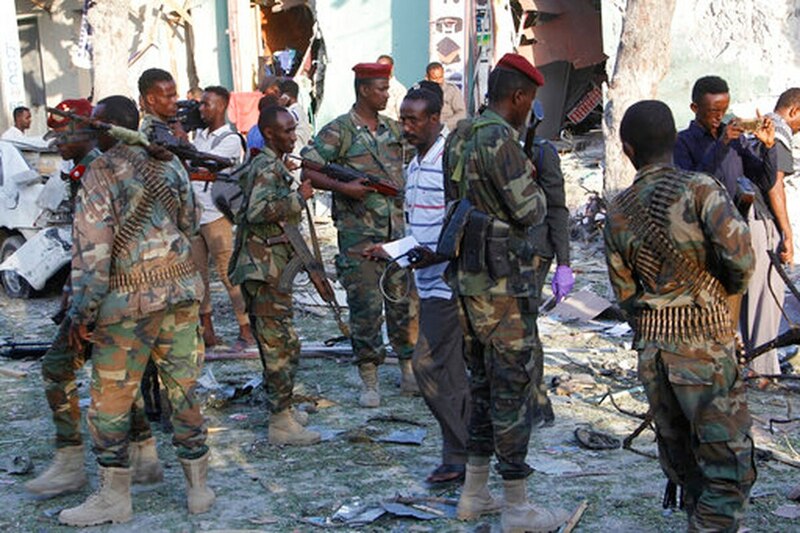 MOGADISHU, Somalia — U.S. and Somali commandos seized three men thought to be commanders with the al-Shabab extremist group during a deadly raid in a village in Lower Shabelle region, Somali intelligence officials said Thursday. Five people thought to be banana farmers were killed in the raid late Wednesday and several others were captured, Moalim Ahmed Nur, a traditional elder in the village, told The Associated Press. This is the first time U.S. forces have targeted ISIS in the region and may be an indicator the terror group is trying to reconstitute itself in the Horn of Africa after suffering massive territorial losses in Iraq and Syria. A Somali intelligence official said the forces targeted a key hideout and coordination center for the Somalia-based al-Shabab. The official spoke on condition of anonymity because he was not authorized to speak to the media. The U.S. Africa Command did not immediately comment on the raid. The U.S. has stepped up military efforts against al-Shabab, the deadliest Islamic extremist group in sub-Saharan Africa, under the Trump administration. That stepped-up military involvement, however, has come with some allegations by Somalis that civilians have been killed. People who described themselves as relatives of the people killed in Wednesday’s raid expressed bewilderment. “They were not armed nor were they al-Shabab members,” said Ibrahim Ahmed, who said he was a family member of one man killed. “I don’t understand why a farm would make a target for a raid,” he added, pointing at one of the bloodied bodies that had been laid out on the ground outside a hospital in the capital, Mogadishu. Bodies of civilians, especially those killed in misdirected attacks, often are taken from remote areas to Mogadishu to draw media attention.